Watch Seithigal Tamil News Channel Live for free with high quality streaming at YuppTV. All viewers and followers out of India, who want to stay connected to their roots, can find ''Seithigal TV'' live on YuppTV. 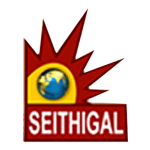 Seithigal TV is a 24-hour Tamil News Channel giving accurate information with pin point precision to all its viewers. At YuppTV intend to provide all the folks abroad via Seithigal TV, the happenings around the world in their native languages, which they might have thought of as a distant dream at a certain stage. This is a great opportunity for those viewers who are already accustomed to Seithigal TV, having said that, we assure all other users who are not acquainted to this news channel but are lovers Tamil News Channels, Seithigal TV is soon going to be a habit for you all, courtesy the services it provides.